Welcome to Hygienepassport.fi Online Store! Order written material or training time to Trainify.fi for preparing yourself for a Hygiene Proficiency Test. On this page, you can order material in Finnish, Swedish, English, Arabic, Thai, Spanish, Chinese, Turkish, Russian and Estonian languages. Get to know to our products and order the material suitable for you. The material is delivered to your home address via post. 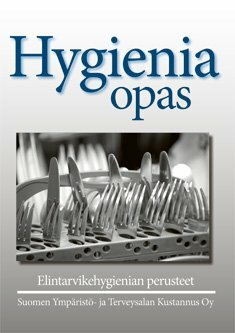 If you are interested in ordering larger numbers of books, please contact to Hygienepassport.fi Customer Service! Company orders can also be invoiced. Besides the written material, Hygienepassport.fi Online Store offers training time codes to Trainify.fi service. Please also check our Gift Certificates for Trainify.fi training time! If you are Hygienepassport.fi's customer and have lost you Hygiene Passport, you can order a new one through this online store. Please note that Hygienepassport.fi's instructors can order the new Hygiene Passport only for their testees. Hygiene Passport can be ordered also based on previous education, if it has been completed in Finland and it includes all of the areas of Hygiene Passport. Read more from the product description.